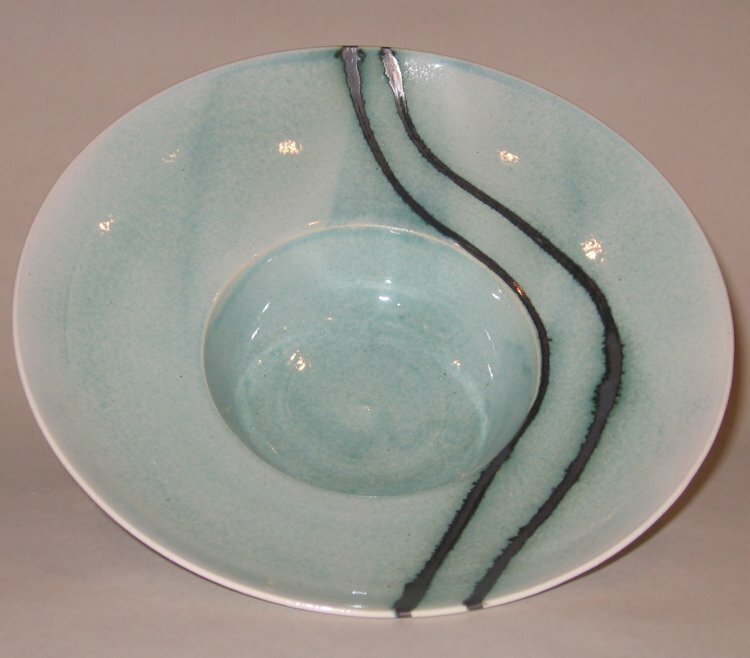 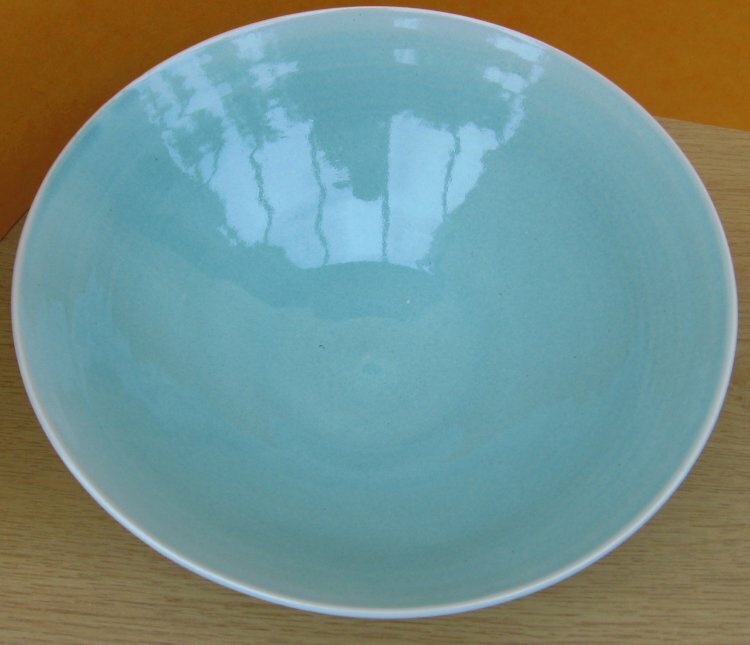 One of our popular styles features the greenish-blue glaze which is our version of 'celadon'. Although the term describes a family of colours, the name has come to be associated most often with the jade green you can see here. 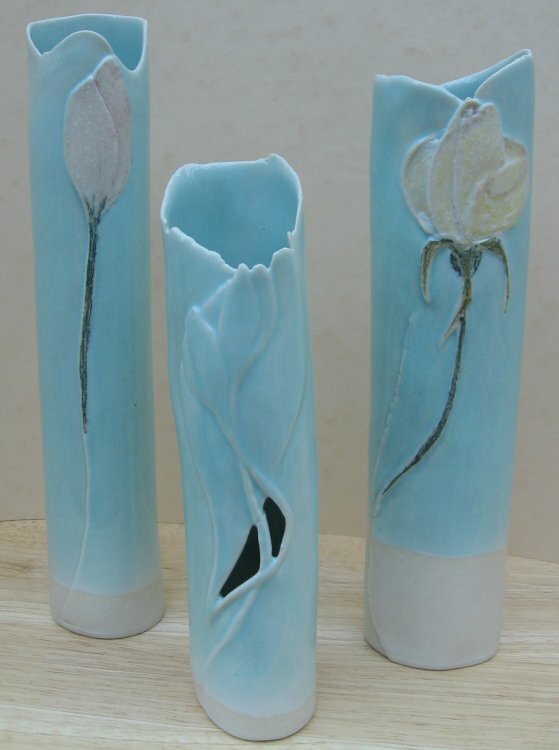 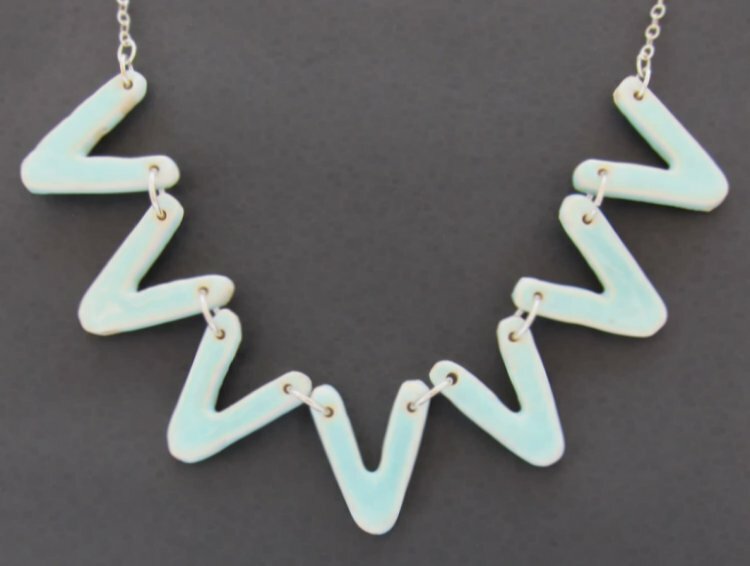 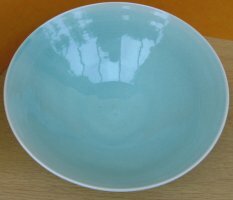 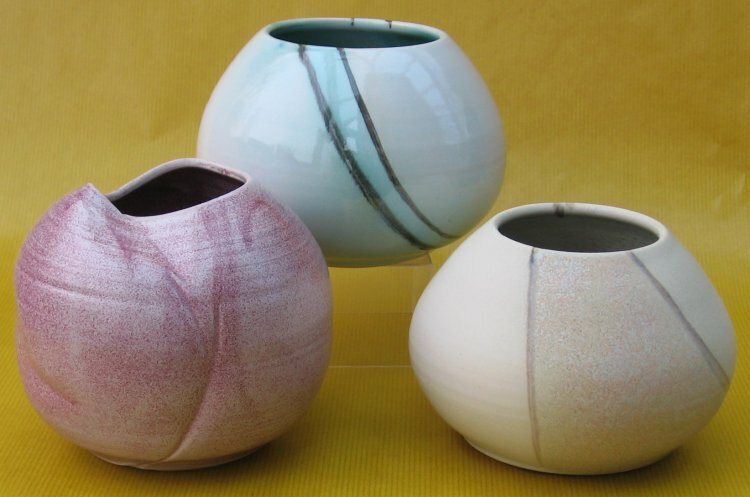 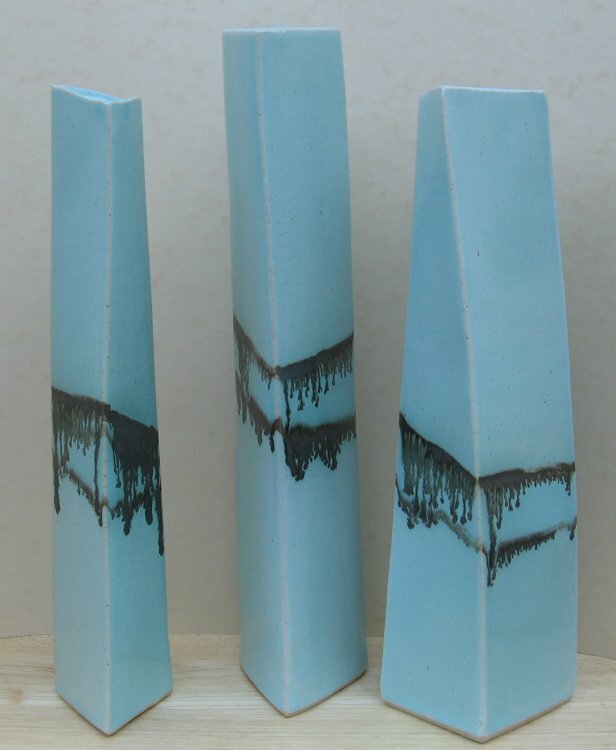 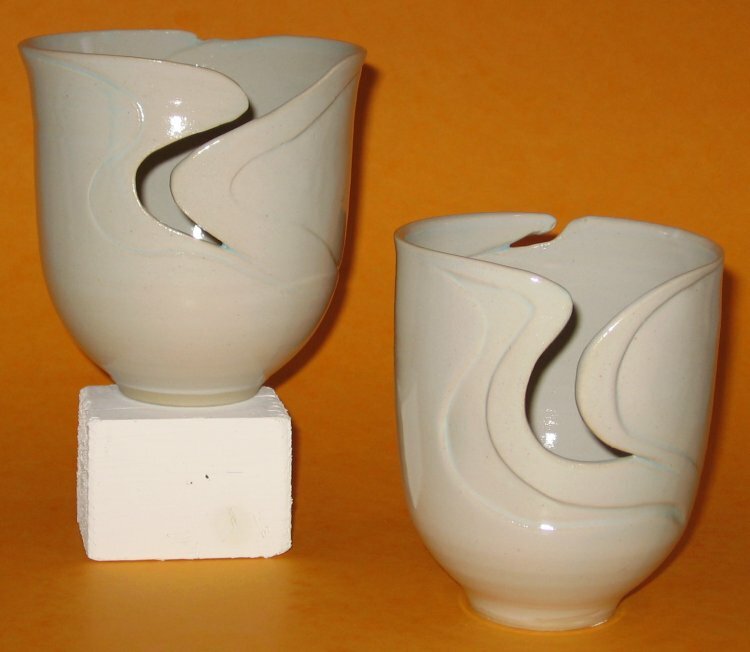 Celadon glazes can be produced in a variety of colours, including white, grey, blue and yellow, depending on the thickness of the applied glaze and the type of clay to which it is applied. 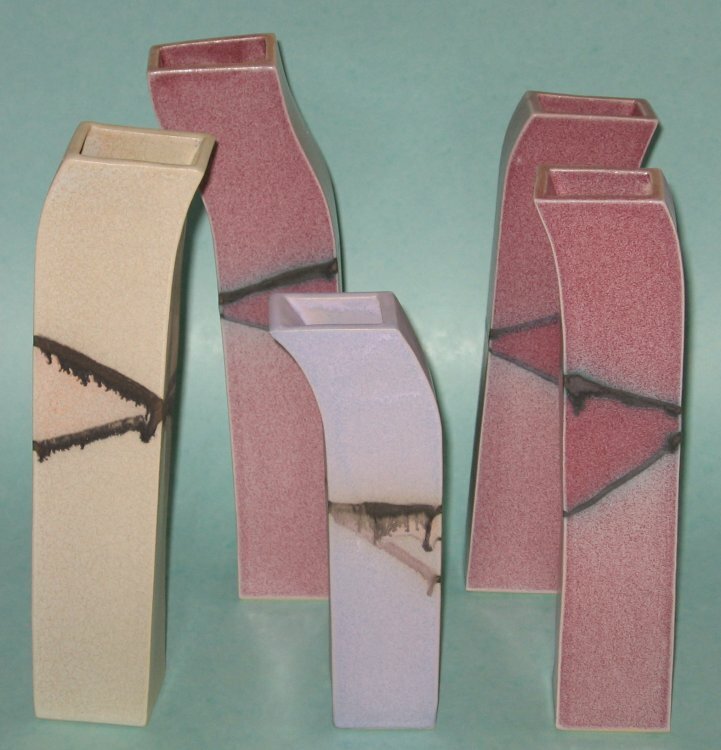 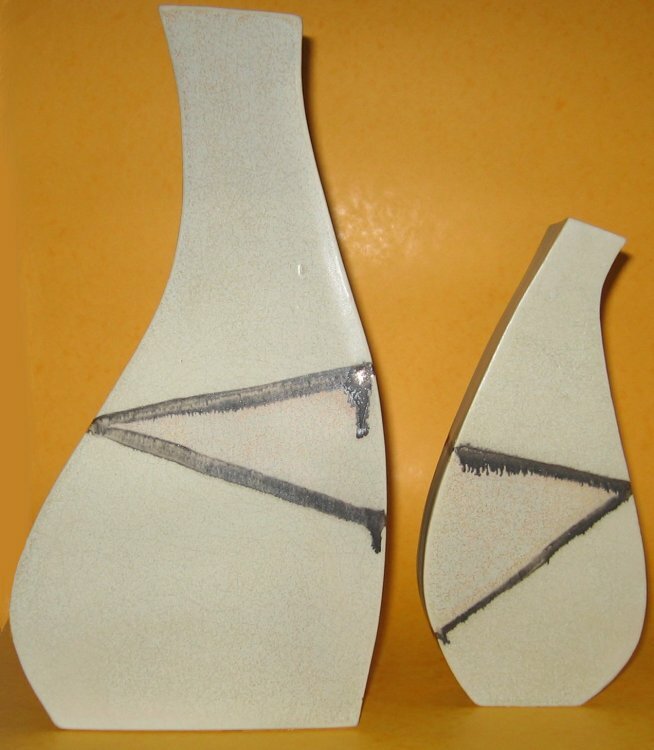 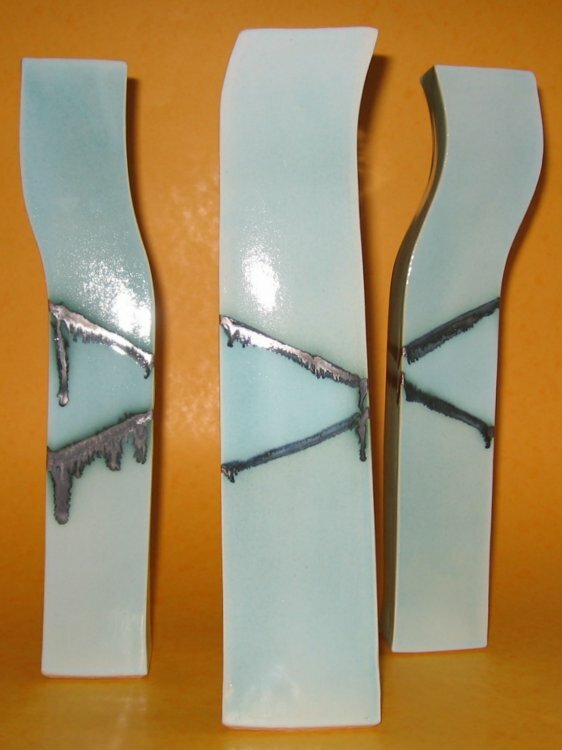 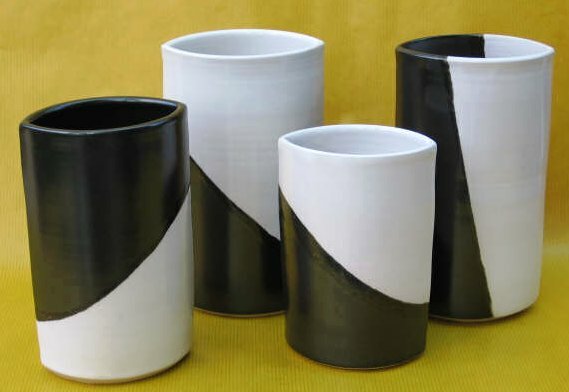 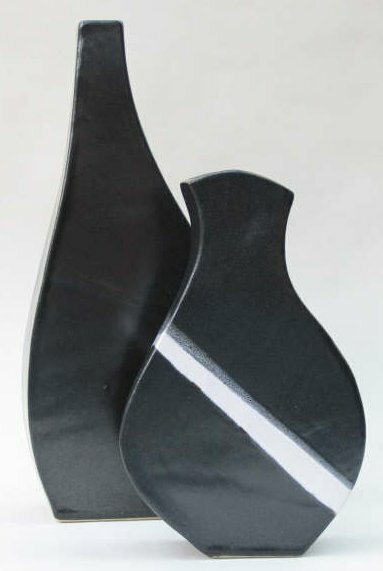 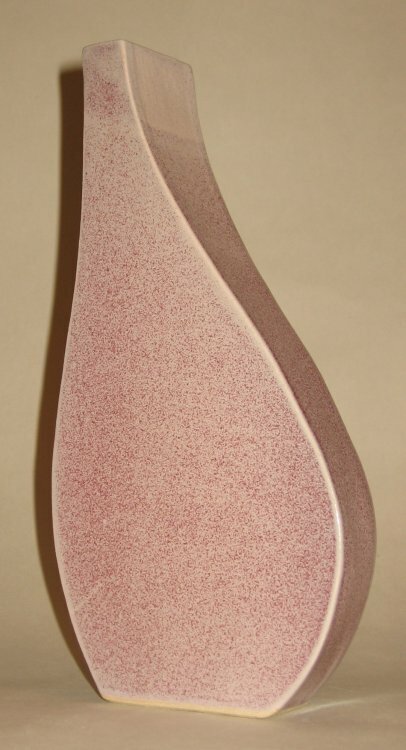 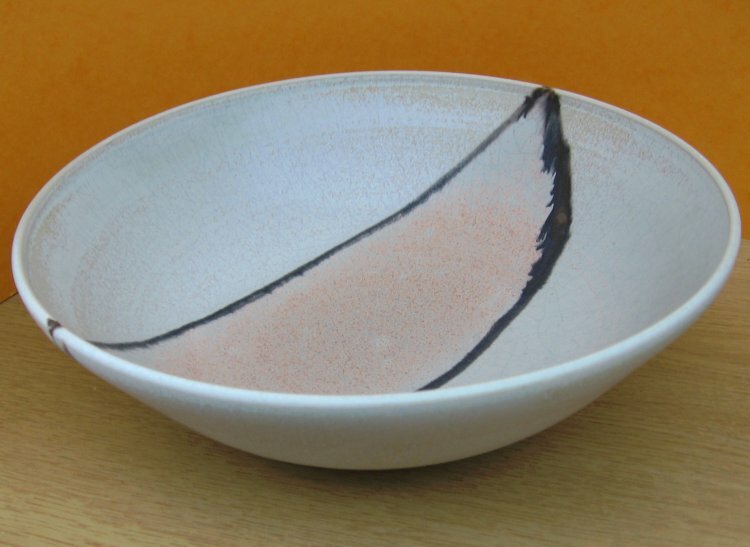 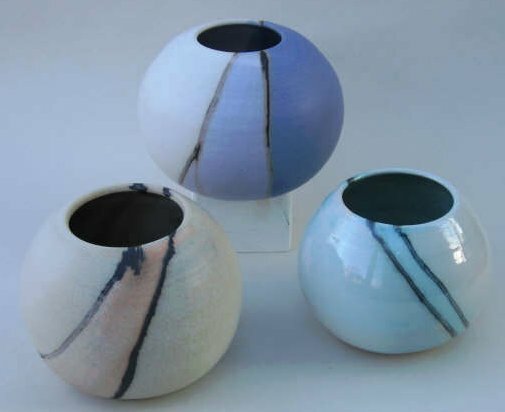 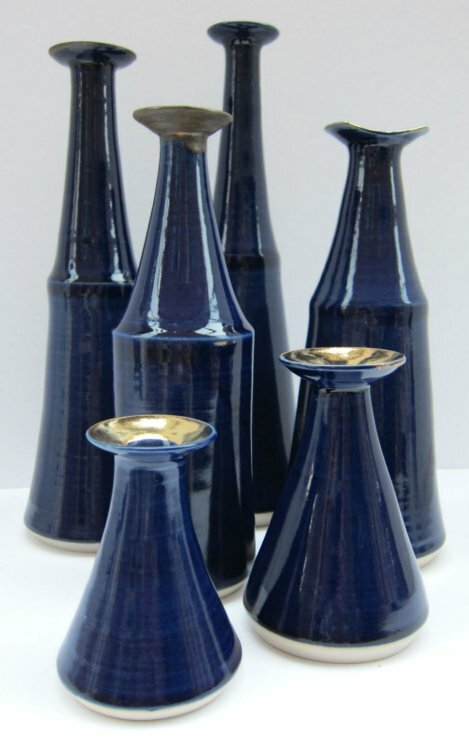 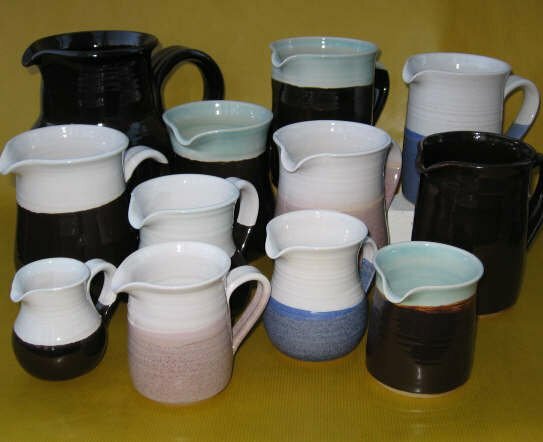 Traditionally the colour is produced by iron oxide in the glaze or clay body. 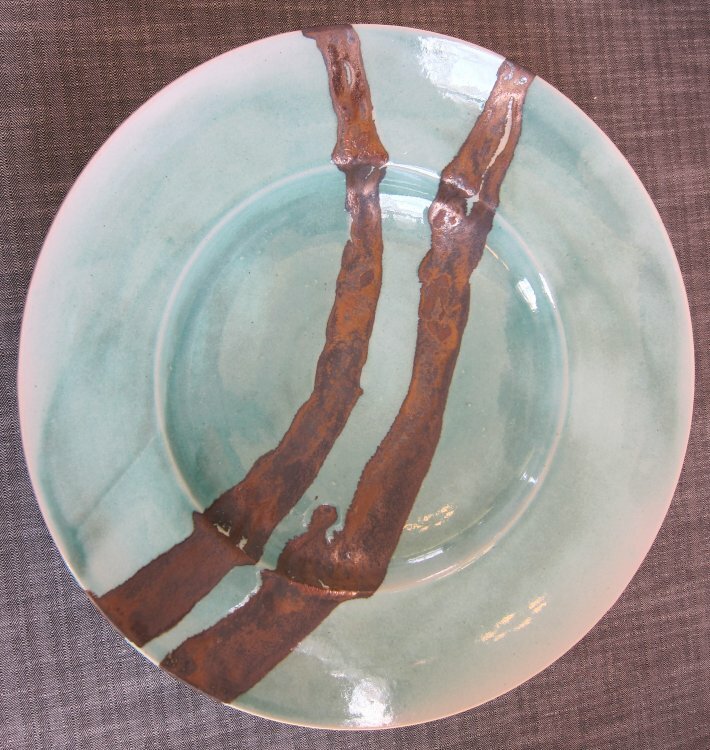 We achieve our colour by firing in an oxidising atmosphere with copper. 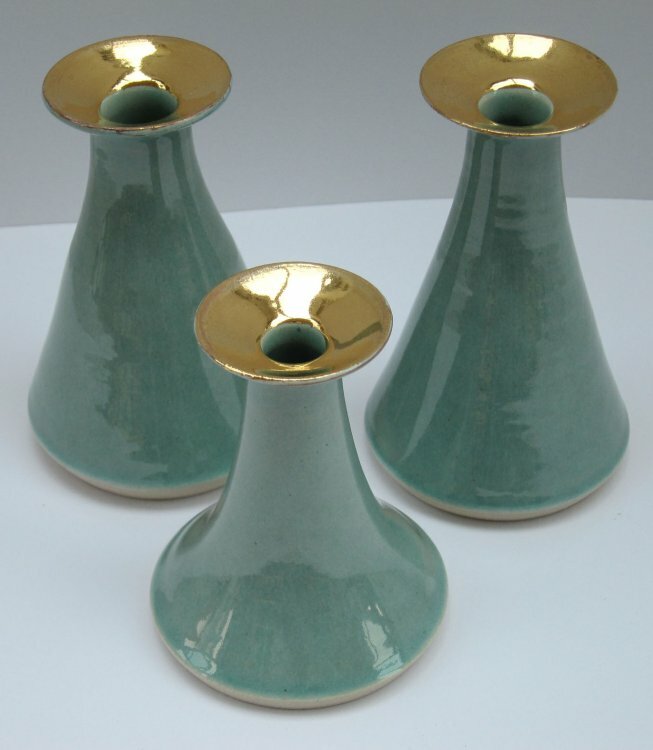 Most ceramicists have their own version of celadon, and indeed our continual experimentation has resulted in several variants of our own - all of which should be seen as an homage to the ancient art, not a copy of it! 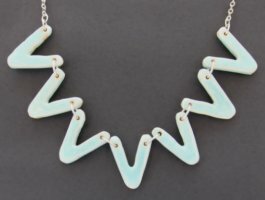 As with all our pieces, no two are alike! 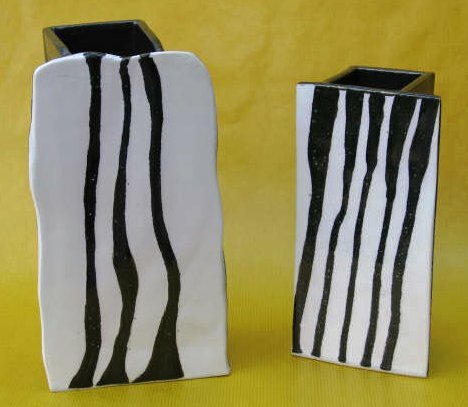 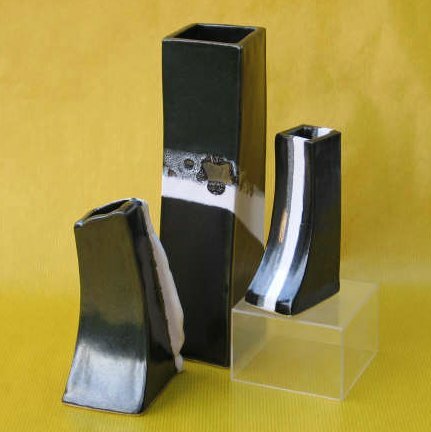 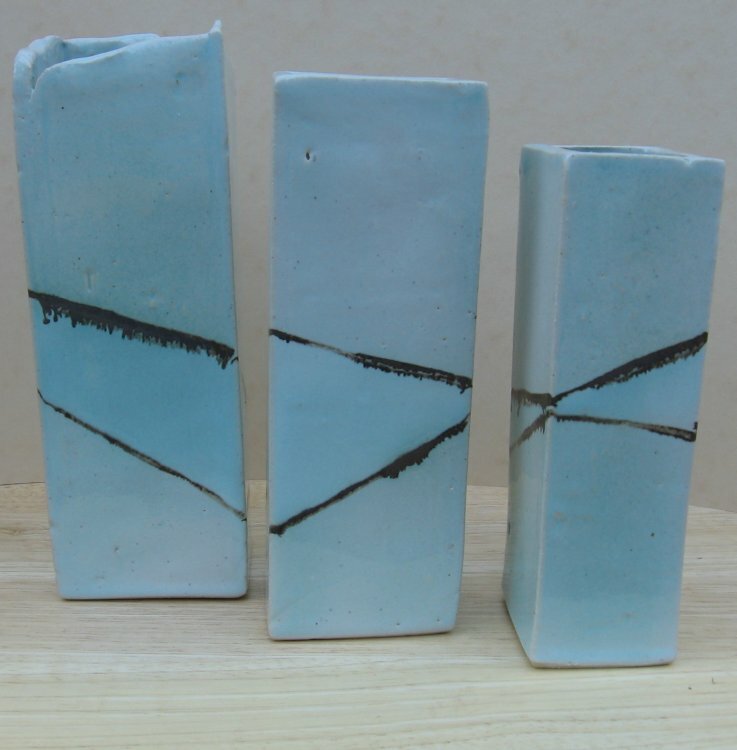 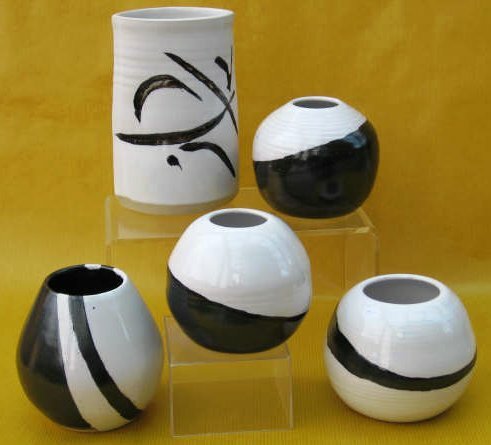 For this reason, the pieces shown here are examples of our work; pieces you can buy are on sale at a selection of galleries, at our seasonal shows and via our own gallery space at the Wendover pottery. 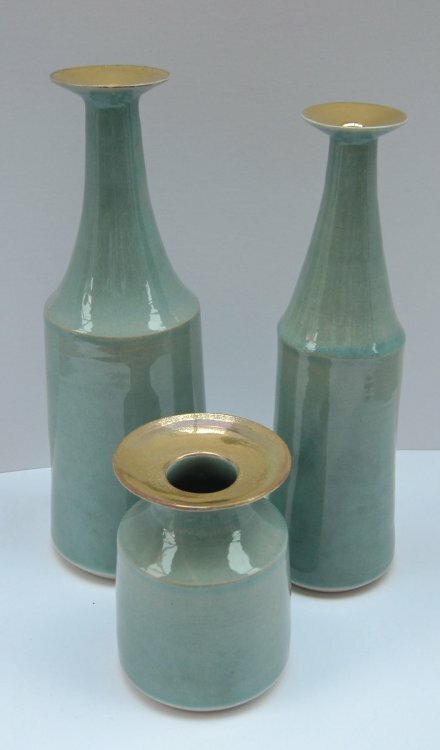 To find out where you can buy our Celadon pieces, visit the 'Where to Buy' page or contact us.